Did you know that 97% of men and 95% of women in Australia do not eat the recommended daily servings of vegetables? This report also highlighted that 99% of children in Australia also aren’t getting in their veg! So how do we actually go about increasing our veggie intake? I’ve put together 7 of my best tips to help you hit those targets. We all know to peel and freeze our over-ripe bananas so why not do the same with veggies? Chop zucchinis and cucumbers into rough chunks and keep stored in your freezer. Then add a few pieces into your morning smoothie! You can also purchase frozen spinach squares from the supermarket. Looking for some inspo? Check out our Green Smoothie recipe. Chop and keep vegetables sticks on hand, ready to be packed for snacks and dipped into your favourite condiments. Bored of carrot sticks? Why not try capsicum, green beans, cherry tomatoes – the options are endless! Enjoy them with hummus, pesto, nut butter or our Cashew & Sweet Potato Dip. Don’t have time to cook or roast your vegetables? No problem! Simply grate them instead. Carrot, zucchini and beetroot all work well and are very affordable! 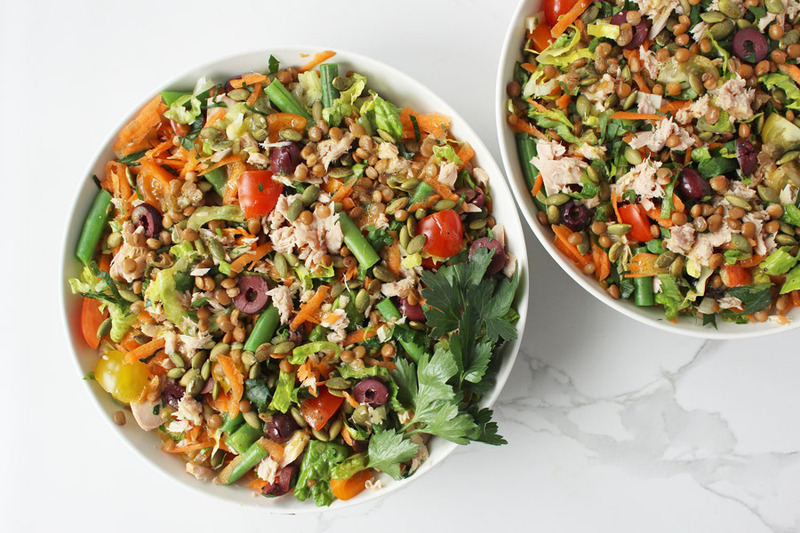 Try my Chop Salad– no cooking required! If you are making a bolognaise, a pot of chilli con carne or a curry, why not add in some extra vegetables. Tip for you: invest in a good food processor. Then use it quickly grate/chop onions, carrots, mushrooms, zucchini, sweet potato, pumpkin and so on. Use the half and half method when it comes to pasta and noodles. Both of these foods have place in a healthy diet but we can increase our veggie intake by having half pasta/noodles and half zoodles or carrot noodles! If you don’t have a spiraliser, simply use a vegetable peeler to peel your vegetables into long strips. In an ideal world, we’d all love to be able to grow our own vegetables or head to our local farmers market and get beautiful, fresh and seasonal produce. However, sometimes this isn’t possible or realistic. Next time you are at the supermarket, head to the freezer section and grab some frozen veggies. When prepared correctly, frozen vegetables can be just as nutritious as fresh! Just check the ingredients list to make sure there is no sugar or salt added. Get creative with your soups! Adding in a soup or two to your cooking repertoire is a really simple way to sneak in some extra veg. Need some ideas? Try my Cauliflower Soup or my Zucchini Soup. For a balanced meal, serve with some crusty bread and protein of choice! Join the JSHealth community as we commence the life-changing 8-week Program together. This week we’re offering a massive 35 per cent off! Simply enter the code ‘2019’ at the checkout to get $52 off! The sale ends Saturday 2nd February – don’t miss out!